This course helps prepare students for work as a safety officer on a construction, mine or oil and gas site. 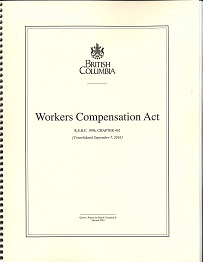 Students will learn how to clearly and effectively communicate with others on a work site, identify hazards, and apply the Workers Compensation Act and occupational health and safety regulations to their environment. Students will also receive training with hand-held fire extinguishers, and the Workplace Hazardous Materials Information System. Upon successfully finishing this course, students will receive a Statement of Completion. It is recommended that students have grade 11 English or equivalent comprehension, and one year of experience on a work site (construction, mining, or oil rig and gas) is beneficial. For extensive course information it is advised students contact the Program Assistant at 604-454-2266 or matt_magee@bcit.ca. Some information is also available at www.bcit.ca/construction/cso/. 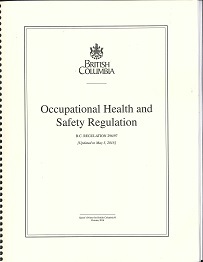 It is recommended that students pre-read the CNST 1100 Course Manual, which is available at the BCIT bookstore, https://www.bcit.ca/bookstore, along with the other required textbooks. Field trip and shop tours will require CSA approved hard hat, high-vis vest and steel-toed safety boots, gloves and safety glasses as well as appropriate outdoor clothing but are not required on the first day of class. 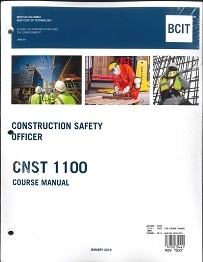 Interested in being notified about future offerings of CNST 1100 - Construction Safety Officer Training? If so, fill out the information below and we'll notify you by email when courses for each new term are displayed here.